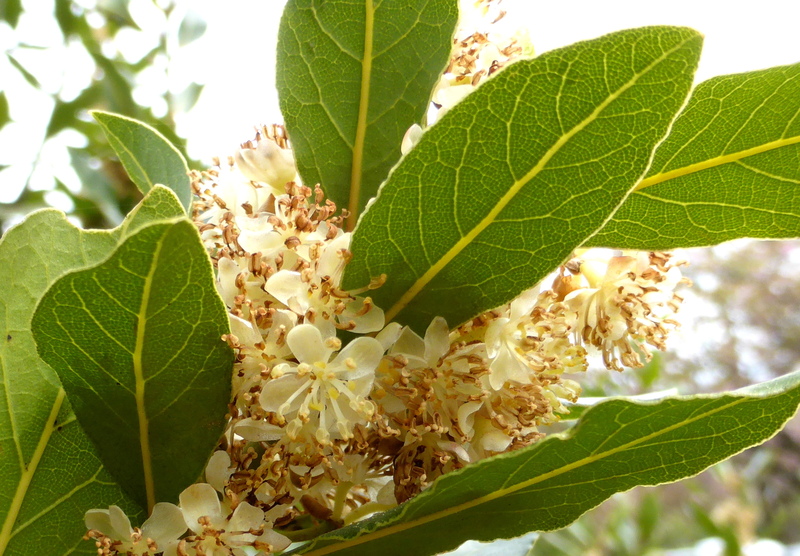 A Mediterranean native, this tree/shrub is well suited for most California climates. 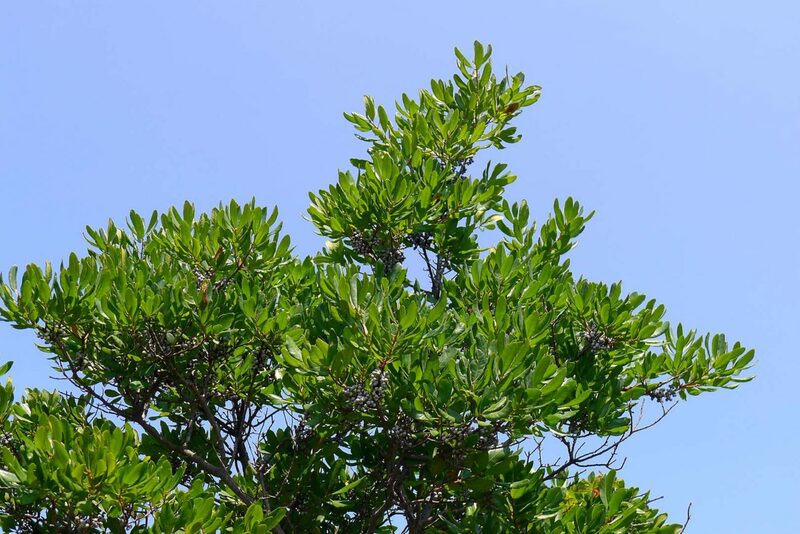 It grows slowly to 12-40 feet tall but is often pruned to 8 feet or less. The natural form is fairly compact with multiple stems originating from the base. 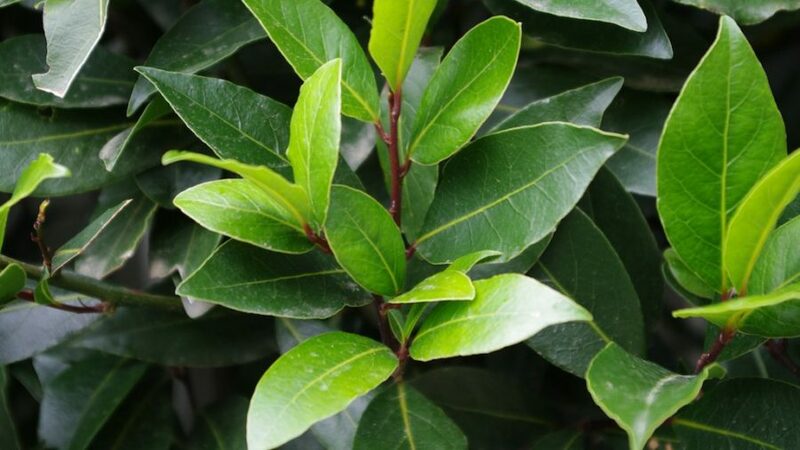 This is the traditional laurel species used in cooking for its aromatic leaves, and was used in ancient Greece to make wreaths to crown the winners of various contests. The leaves can be used fresh or dried in cooking to give flavor to soups, stews, and other dishes. Small yellowish green flowers bloom in spring. The trees are dioecious, meaning there are male and female trees. If flowers on female trees are pollinated, they will be followed by single-seeded purple-black berries. 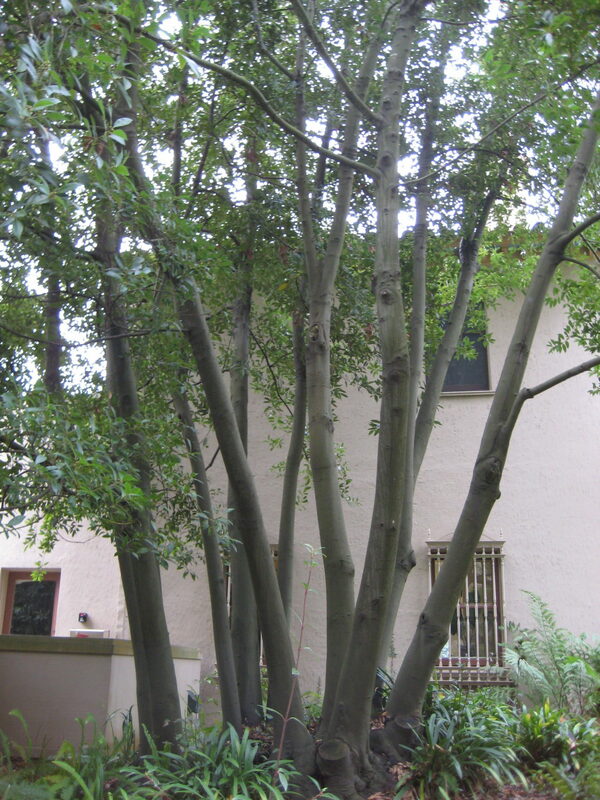 Its dense growth habit makes it good for background planting, screens, or as a small specimen tree. Sweet bay is not particular of soil types but does require good soil drainage. 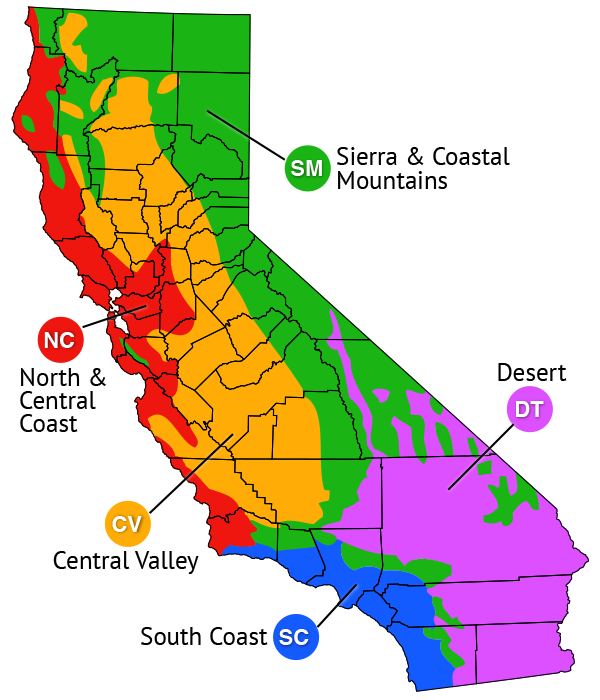 The foliage is evergreen except in locations with temperatures below 20ºF where annual leaf drop may occur. Laurus 'Saratoga' (Saratoga bay laurel) grows 25-30 ft tall and nearly as wide. 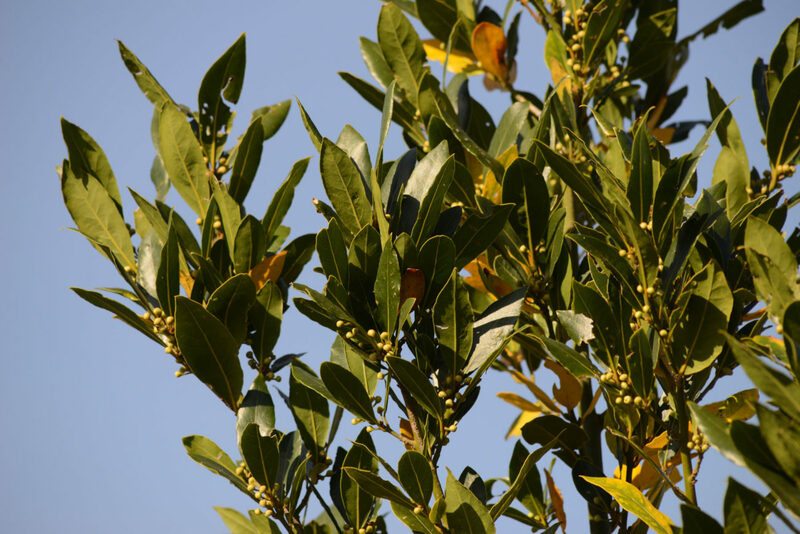 It has the attributes of Laurus nobilis but is smaller with a more open habit and larger more rounded and lighter colored leaves. This selection is male and will not produce fruit.It is not as cold hardy as Laurus nobilis, but this cultivar is more resistant to some of the insect problems that can plague Laurus nobilis, including Laurel psyllid and soft scale. The leaves can be used for their culinary value.